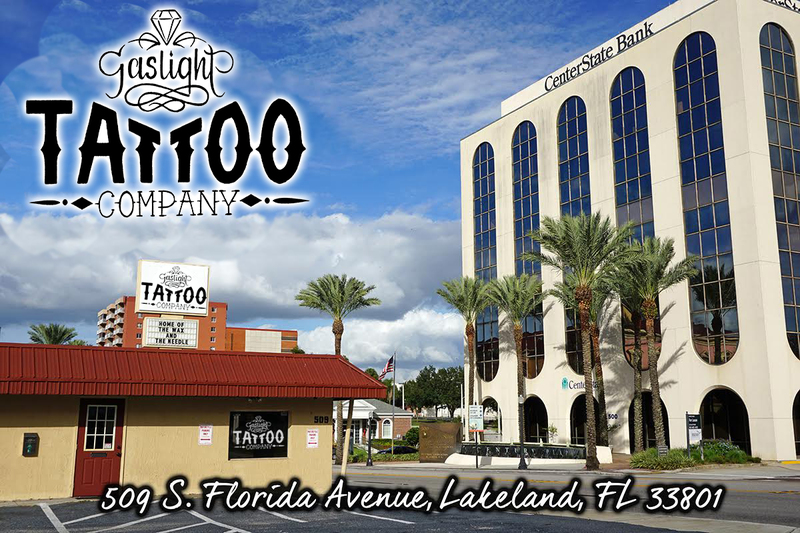 Gaslight Tattoo Company is on the edge of Downtown Lakeland, FL in the beautiful Dixieland Historic District. Located in Lakeland Florida, Gaslight Tattoo Company is Professional, Comfortable, Affordable and Clean. With over 30 years of experience our friendly and talented artists create Custom Tattoo Designs and are skilled with Tattoo Cover Ups.